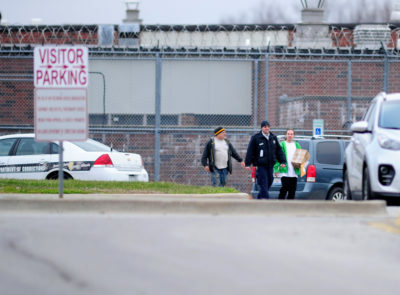 Six young men who had been sentenced to lengthy adult prison terms for committing what were described as minor infractions at a southern Illinois youth correctional facility went free Friday after outgoing Illinois Gov. Bruce Rauner, in an unannounced move, commuted their sentences. 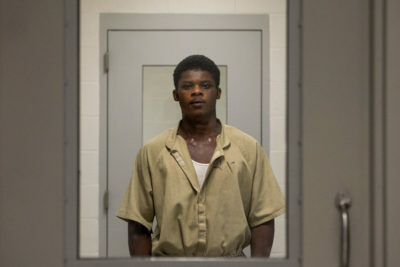 The young men, whose cases were documented in a ProPublica Illinois investigation last year, had only learned they would be released the day before. By Friday afternoon, all had walked out of the prisons where they were being held. 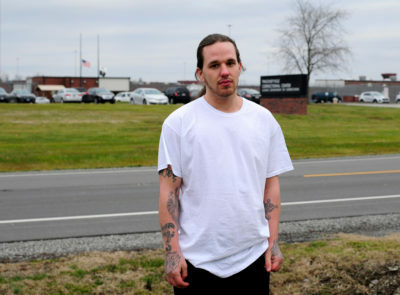 “It feels good to be out,” Kaleb Martin said in a phone call, after leaving the Pinckneyville Correctional Center in southern Illinois, where he was met by his sister. Martin had been sentenced to six years in adult prison for biting a guard he claimed put him in a chokehold that blocked his breathing. He and the other five young men had been imprisoned for assaulting guards or other employees at the Illinois Youth Center at Harrisburg, though internal Department of Juvenile Justice records described some of the incidents as “minor.” Juvenile justice advocates and some state officials criticized Harrisburg officials for pressing charges, saying the incidents, which included biting, striking or spitting on workers, typically would have been handled through internal discipline. The commutations were not publicly announced by the governor’s office. A spokeswoman for Rauner, who has made criminal justice reform a key initiative, declined a request for comment. After Martin’s sister, Brittany, picked him up, he met his 2-year-old niece and 5-year-old nephew for the first time, and the family drove to her home in Peoria. Martin’s mother, Pam Allred, who lives in Alabama, said her son, who has autism, regressed while in prison. Now that he’s out, she said all she wants is a fresh start for her son and the others. Shakira Cousett said she hopes for the same for her 19-year-old son, Jaylan Banks, who was sentenced to eight years in adult prison for punching a guard during a struggle over a bottle of body wash. She had been in touch with the groups working on her son’s case, but Cousett said they thought any legal relief was months away. Another inmate called her Thursday, she said, to tell her that her son wanted her to know he would be released the next day, but she didn’t tell anyone for fear she’d jinx it. Even after she received confirmation he had left the prison, she worried something would derail her son’s homecoming. As the evening set in, she was still waiting for him to arrive at the train station in suburban Chicago. He had been transported from the prison in Pontiac to Joliet before taking public transportation, she said. “It won’t be real to me until I can wrap my hands around him,” she said. By 8 p.m., Banks had made it to the train station. His mother jumped out of the car, enveloped him in hugs and broke down in tears. “It feels real now,” Cousett said. Banks said he was grateful to get a second chance. Several years ago, the actions that landed these young men in prison typically resulted in a loss of privileges, time in solitary confinement or an extended juvenile sentence. But as the department adopted reform measures, it limited the use of solitary confinement and banned it as a punitive measure. Some guards, however, have said the move left them without the tools they needed to do their jobs safely and effectively. Pressing charges, juvenile justice advocates claim, reflected the workers’ reluctance to embrace the reforms, especially those related to solitary. ProPublica Illinois found that guards and other employees from the Harrisburg facility pursued more criminal charges over alleged assaults in recent years than staff at the state’s four other juvenile facilities combined. They sidestepped the department’s protocols for reporting the incidents and went directly to police and the Saline County state’s attorney’s office, which prosecutes crimes in Harrisburg. The young men’s sentences ranged from three to eight years. Those who turned 18 while in juvenile custody were charged as adults. A handful of cases are still pending. Following the convictions, a coalition of criminal justice organizations, including the John Howard Association, the Juvenile Justice Initiative and the James B. Moran Center for Youth Advocacy, worked to get the young men legal relief. The Moran Center, a nonprofit based in Evanston, also received a grant from the Illinois Bar Foundation to recruit lawyers for the young men because of concerns about their legal representation. Saline County, which does not have its own public defender’s office, contracts with local lawyers to serve as public defenders. The state’s attorney who pursued several of the cases, Jayson Clark, lost his re-election bid in November. His successor, Molly Wilson Kasiar, did not immediately respond to a call for comment. The American Civil Liberties Union of Illinois, which monitors the Department of Juvenile Justice as part of a federal consent decree, had taken the department to court and called the charges a “deliberate and concerted attack” on the department’s reform efforts. The prosecutions disproportionately affected African-American men from Cook County. The ACLU applauded Rauner’s decision to commute the sentences, but it said the commutations highlighted a larger problem. “The governor’s actions point out that these young men should not have been convicted in criminal court for issues that could have been addressed as a routine matter of discipline inside the Department of Juvenile Justice,” ACLU spokesman Ed Yohnka said. Patrick Keenan-Devlin, executive director of the Moran Center, said he was pleased to know the young men would be home for the new year. But he said more work remained. He said he hopes to explore additional options, including petitioning Gov.-elect J.B. Pritzker for pardons and expungements. All six young men have felony convictions on their records. “We are committed to helping these young men reintegrate and receive the supports and services they need to make a successful transition back into society,” Keenan-Devlin said.